Iris may not have been having fun but her grandparents were, they were having a whale of a time convincing themselves that Iris was in her element. As you can tell from the look on her face I think she's actually rather underwhelmed by the whole thing! 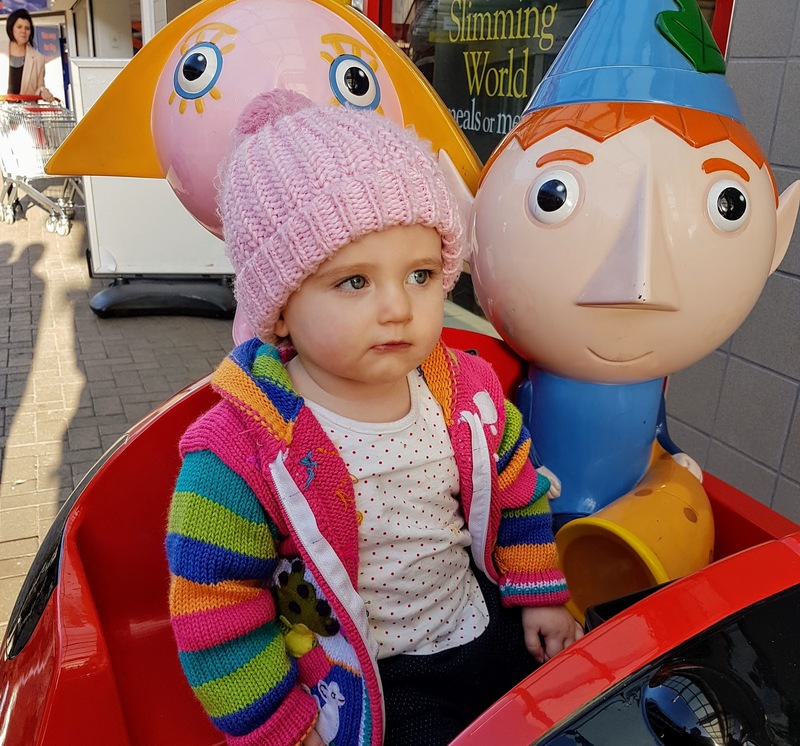 I personally would like to avoid the habit of going on a ride every time we go in town but I understand that as grandparents it's a rite of passage for them. They have to rebel against 'what mummy says' and seeing the joy on their faces is worth it. The most hilarious thing about this whole scenario is that Iris actually prefers going in the lift or up the escalator in Wilkos rather than being on this ride. The bonus of being on the ride though is that she gets to wave at Tracey in the butchers opposite!